Earthquakes strike suddenly, without warning and they can occur at any time. Most of the United States is at some risk for earthquakes, so it’s important that companies develop preparedness and mitigation plans, and be ready to take action. Doing so will not only increase the safety of your employees and customers, it will also help your business continue after disaster strikes. Make your buildings safer and more resistant to earthquake damage and disruption. Check with your local building-regulatory agency to find out how long structures have been subject to building codes containing seismic design provisions. Ensure nonstructural items are anchored, braced, reinforced, or otherwise secured. Train all employees on What to Do During an Earthquake. Emphasize safe places to “drop, cover and hold on” during earthquake shaking. Identify safe locations to meet when the shaking has stopped. Hold periodic, mandatory earthquake drills. • Provide fire extinguishers and first aid training. Identify the critical elements of your business – equipment, communications, supply, IT, employee knowledge and skills. Make plans to protect, reconstruct and duplicate these elements. Train staff to carry out these plans in the event of an earthquake. If no sturdy shelter is nearby, crawl away from windows, next to an interior wall. Stay away from glass, windows, outside doors and walls, and anything that could fall. Locate all staff and visitors then evaluate their safety and health. Treat and respond to medical emergencies. Control critical operations including flammables per your safety plan. Evaluate the safety of the structure and operation. 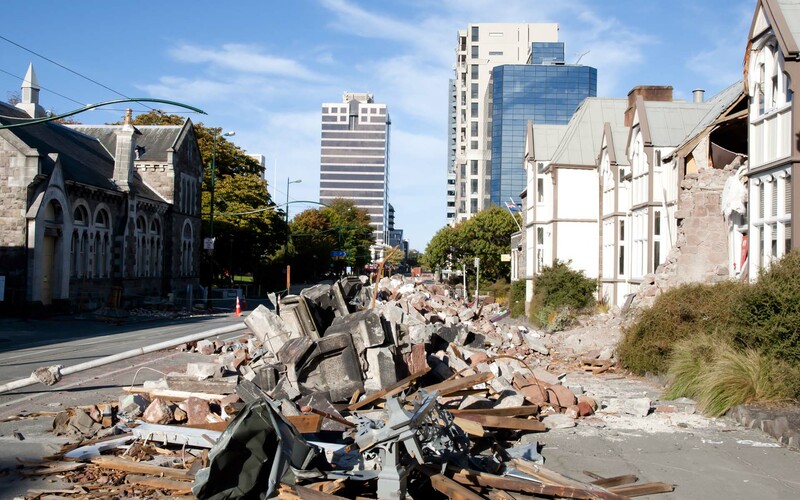 Assess what your organization could have done better in preparing for this quake. If structures must be repaired or rebuilt, ensure weaknesses are addressed and that new facilities are compliant with seismic building standards. If building contents were damaged, improve how items are secured. If employees were insufficiently prepared, increase safety training and the frequency of drills.